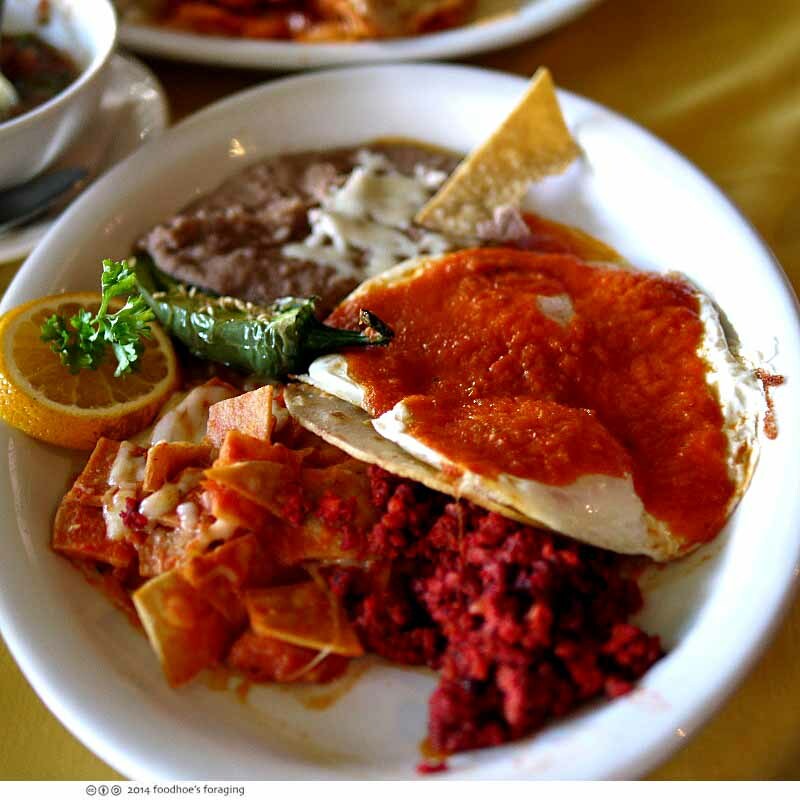 Mr. K and I took a quick road trip in the new car down to Baja California last week which I was keen to explore after reading many mouthwatering accounts of the gustatory delights that can only be found south of the border. We left San Leandro at an ungodly early morning hour, and were rewarded by virtually no traffic all the way past L.A. and San Diego, arriving at Rosarito Beach by 1 pm! 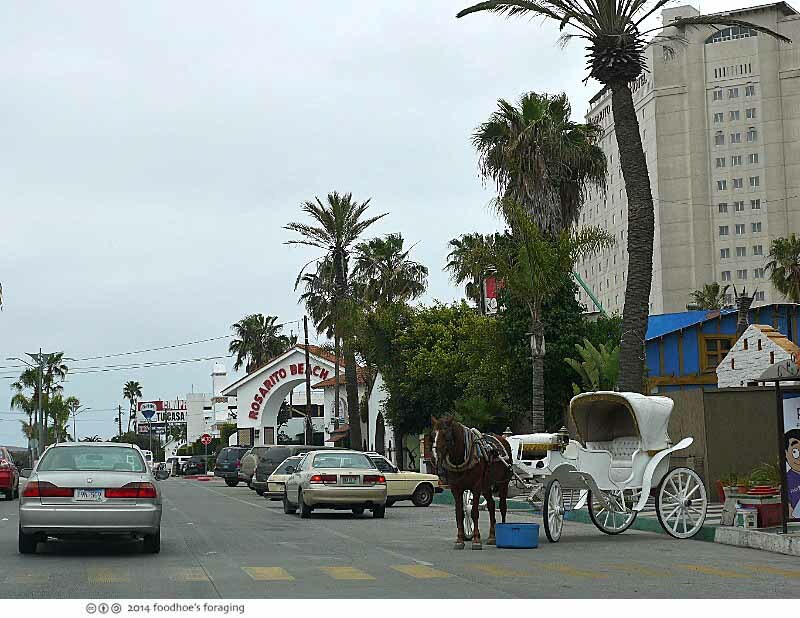 I found a great deal through Travelzoo for a studio suite at the Rosarito Beach Hotel, a historic spot right on the beach that was easy walking distance to shopping and restaurants. 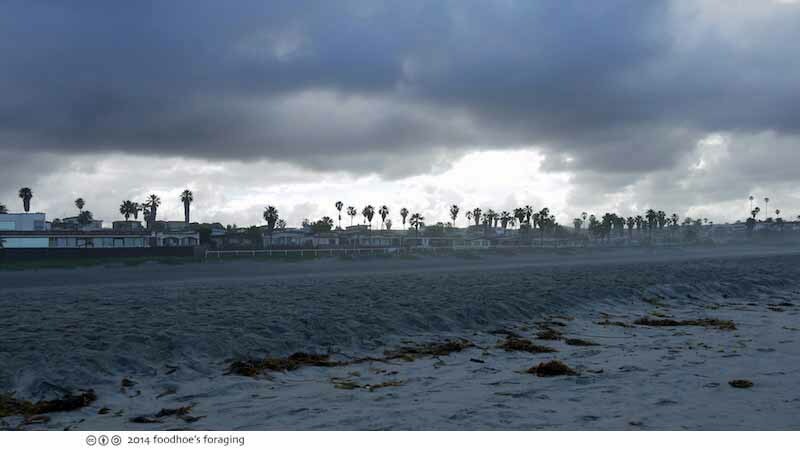 We were there a couple of weeks before spring break, so it felt almost like we had the place to ourselves, the beaches were empty, and the weather was unsettled with dark cloudy skies one moment, then blue skies and sunshine the next. The hotel had lots of nice amenities like the tub of fresh flowers that was changed daily in the lobby, and the bathroom was twice as big as ours at home. 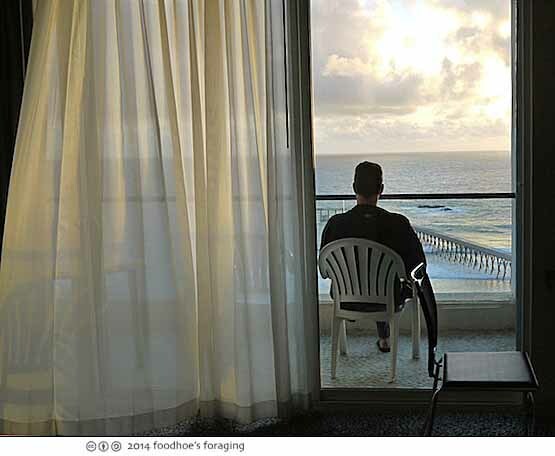 Couldn’t believe the gorgeous views of the ocean from our balcony. 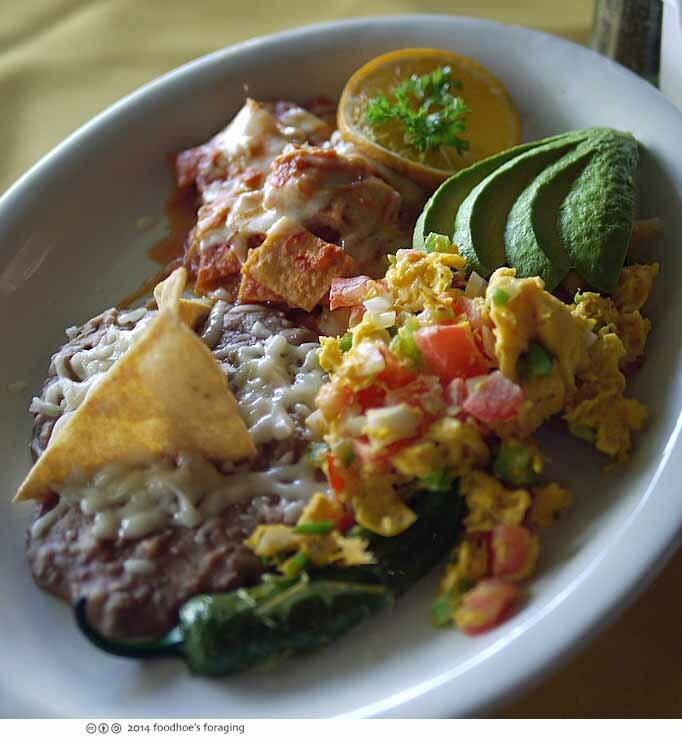 Breakfast on the second day, Huevos Mexicana, the eggs were scrambled with tomatoes, onion and peppers, served with avocado slices, more of the lovely refried beans and chilaquiles. 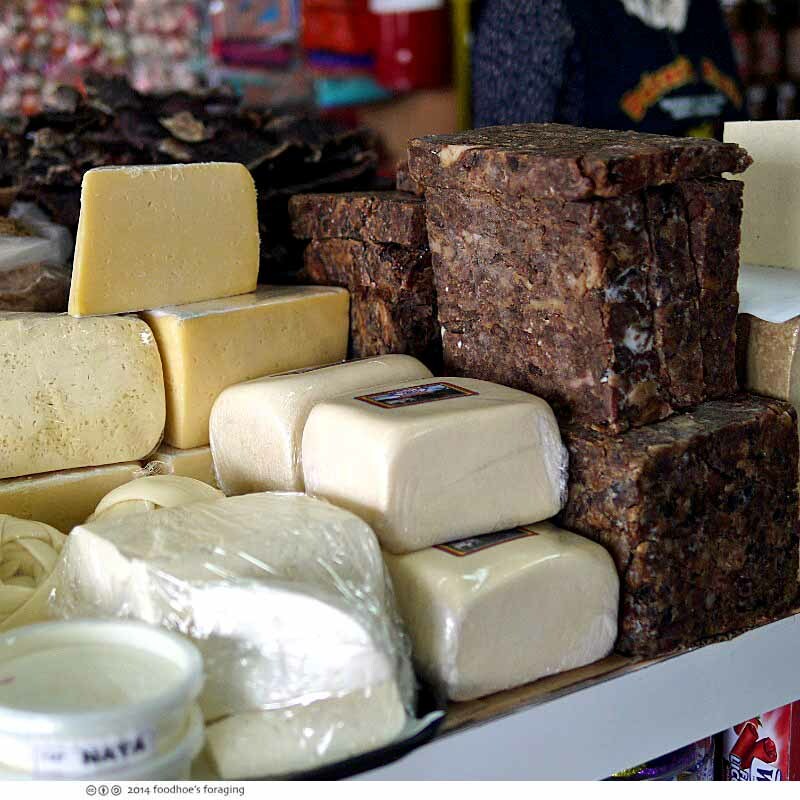 There were all kinds of foodstuffs, including trays of intriguing dried fruits and other sundries, here is a display of cheese, and a block of what looked like some sort of pressed fatty meat. Dinner the first night was at Vinces Fish Market, which I read about on the excellent online resource Chowhound. It was a few blocks down from the hotel, and we were the only customers at first. 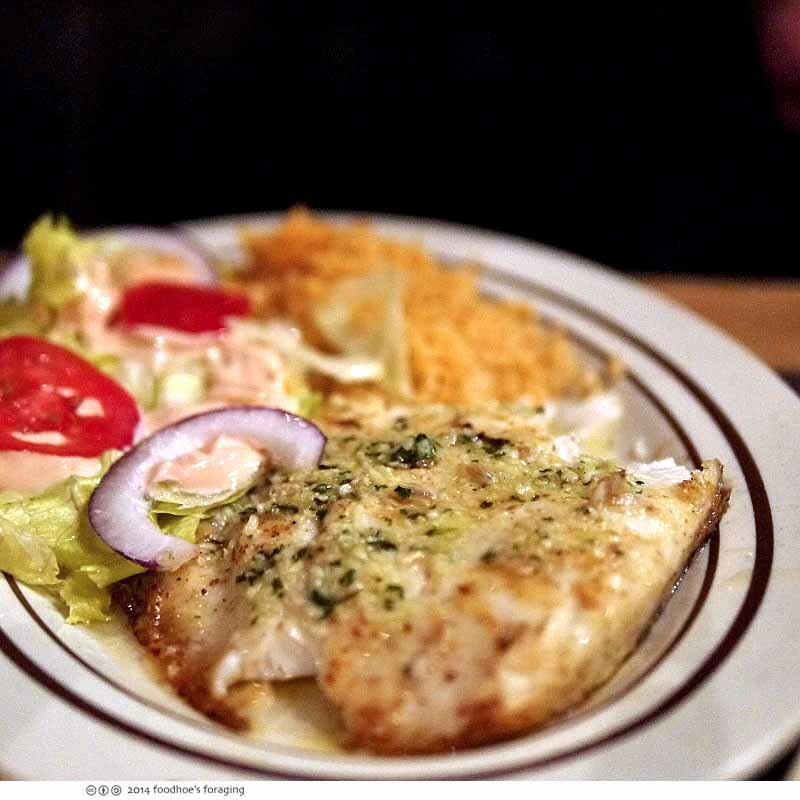 We were served platters heaped with lusciously lardy refried beans, fluffy well seasoned rice and iceberg salad with thousand island dressing – we loved everything but the salad, which was a bit dull… The grilled halibut with garlic butter was juicy and flakey with perfectly crisped edges. – total captivation of the taste buds. 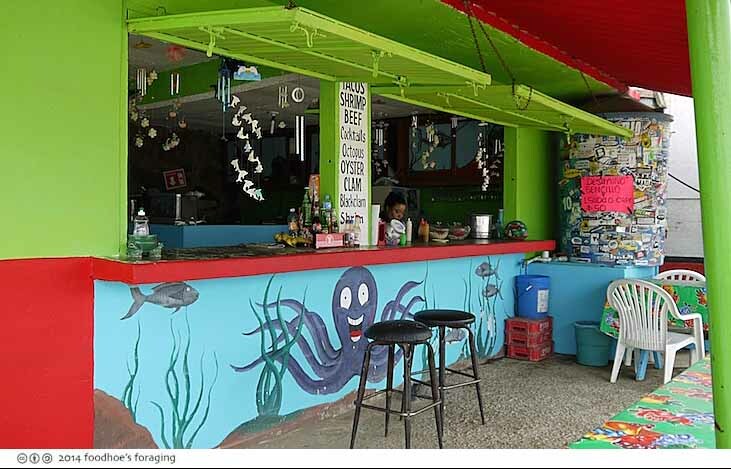 The next day, we ventured up to Mariscos Alegria, in Primo Tapia on the inland side of Highway 1 or “the free road,” next to a tire repair shop. Mr. K and I found ourselves once again, to be the only customers. I think that we must have been eating during not prime times, could it have been siesta time? 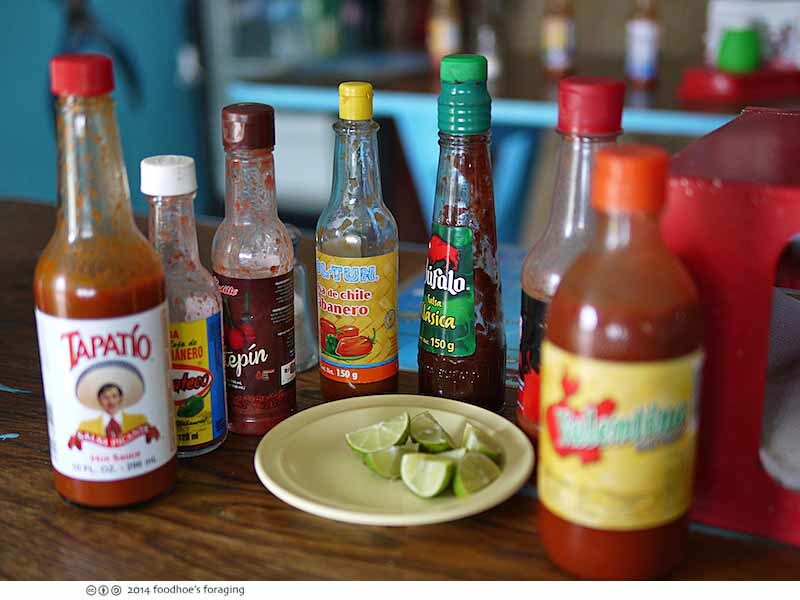 The tables were loaded with a variety of hot sauce bottles. The woman, whose name I read on the bajanomad forum is Flor Aguilar, made everything by hand as we ordered. Such a beautiful smile! We ordered an Aguachile (firewater) with shrimp. 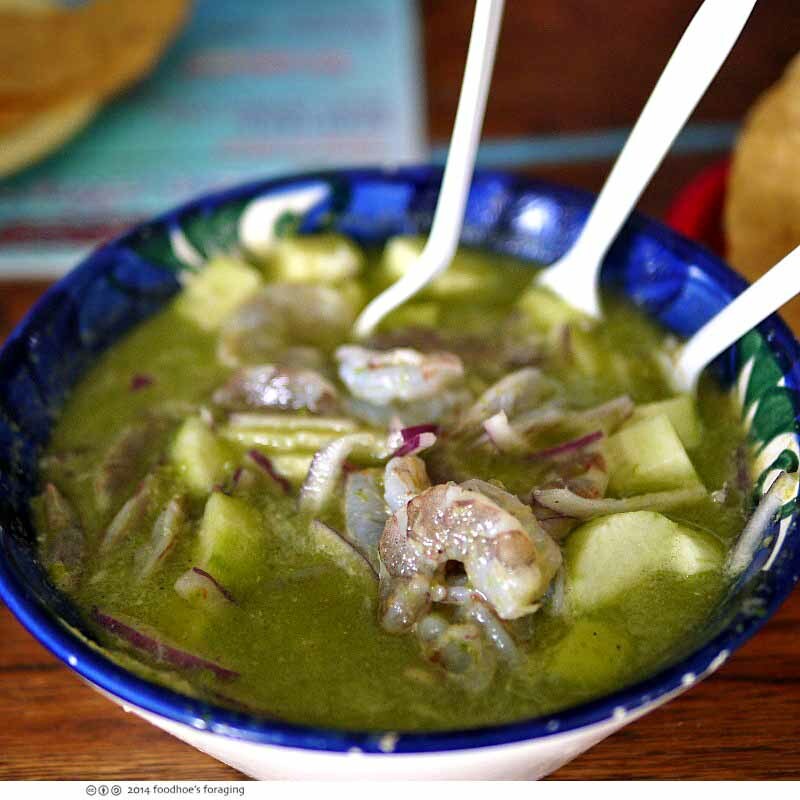 Boy it was super duper spicy, but so delicious that I couldn’t stop eating it… Brilliantly fresh flavors from fiery hot serrano chile, cilantro, onion and lime juice, the shrimp were exquisitely fresh and we dueled over the cool chunks of refreshing cucumber. From our hotel, we were just a couple of blocks from Tacos El Yaqui, on Mar del Norte, the side street that parallels Benito Juarez Blvd. one block east. 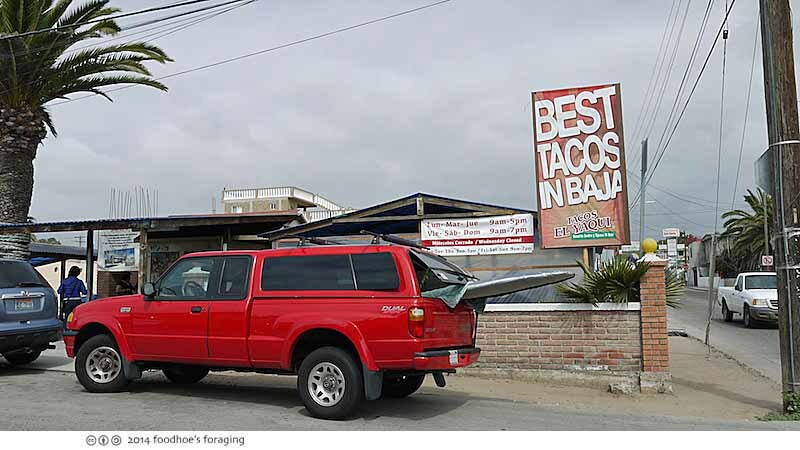 They are hard to miss from the sign proclaiming to serve the best tacos in Baja. 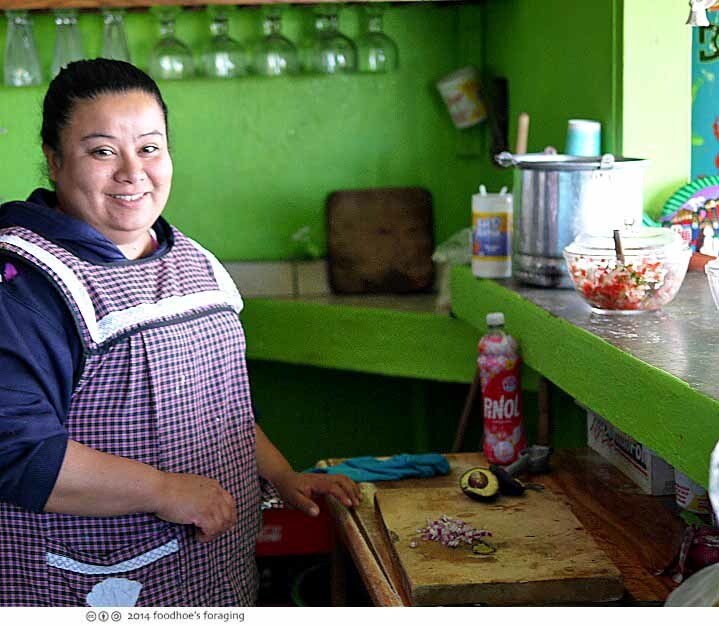 They serve only one thing, carne asada tacos called Perrones, which I think means the Big Dog. 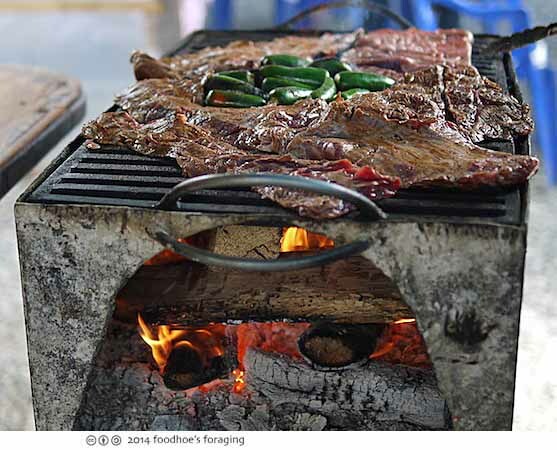 Right in front of the window where you order, is the wood fired grill where the slabs of marinated Arrachera (skirt steak), sizzle, along with jalapeños. 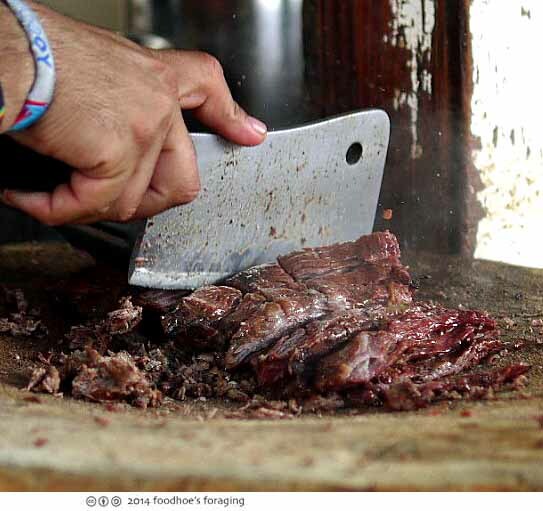 The meat is plucked from the grill into stacks and chopped on a thick wooden stump with a cleaver while still steaming, and then piled onto a tortilla on your plate, which is brought to your table. 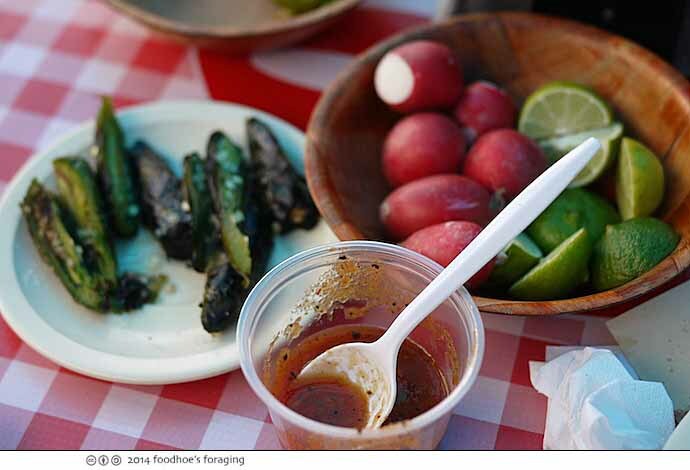 They brought a bowl of radish and fresh lime, some grilled jalapeños and a cup of spicy salsa to our table. 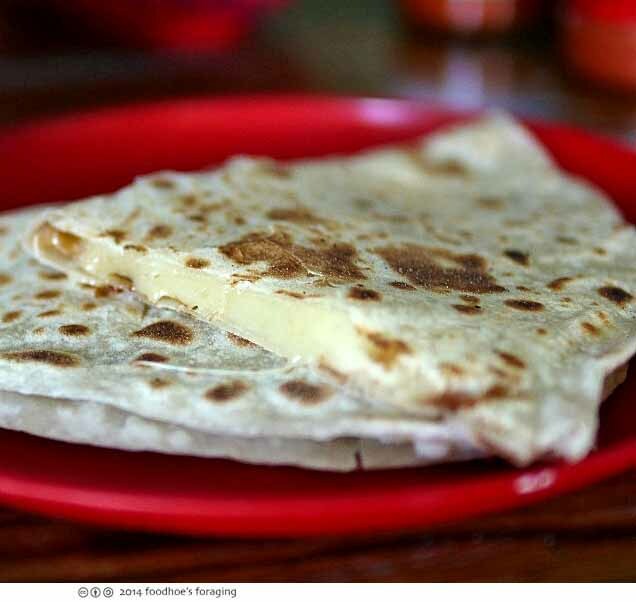 The tacos were huge, served on flour tortillas with melted cheese, a smattering of tender pinto beans, slathered with guacamole and sprinkled with onion and chopped cilantro. The meat was juicy and flavorful, fresh from the grill with an excellent smoky char. The combination of ingredients seemed burrito-y to me, but on a manageable scale. 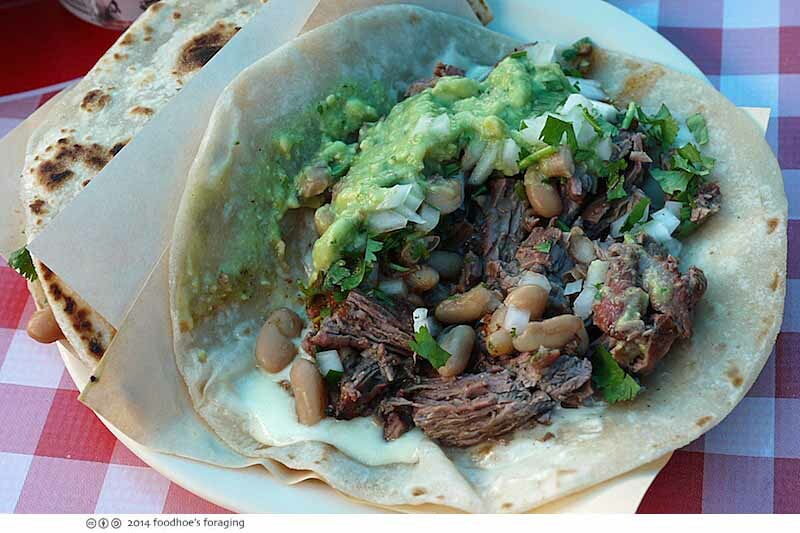 We thought this was an excellent carne asada taco, muy sabroso! The patrons were all so friendly and helped us as we were obviously tourists, and when we asked after fish tacos in the area, the chef pointed us down the block to El Cotorreo. 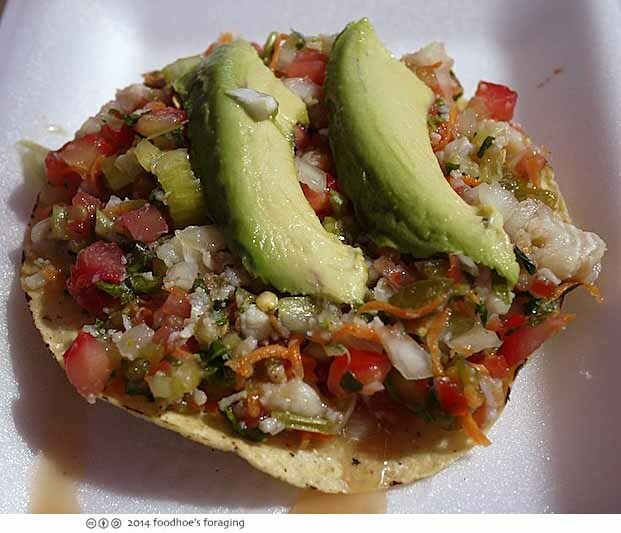 We enjoyed our first fish ceviche which was full of crunchy vegetables and spread thickly over a crisp tostada and topped with avocado. 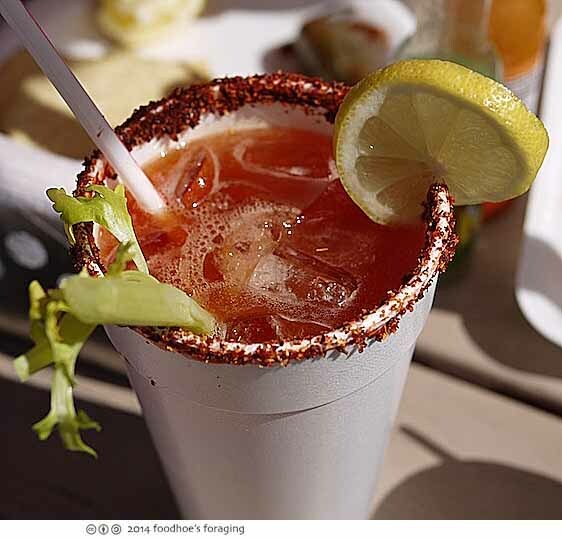 I finally got to taste the Michelada, which is like a bloody mary but made with beer and ice, and our cups were topped with a chile sauce then dipped in Tajin chile and lime powder and garnished with a celery stalk and lemon slice. 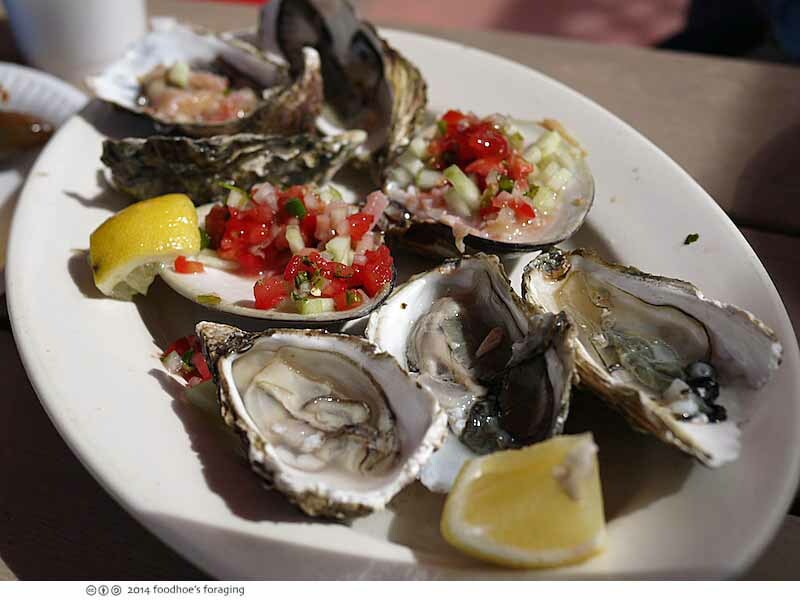 and a plate with raw oysters, and a raw clam that had been chopped and mixed with cucumber, onion, tomato and jalapeño topped with ketchup. 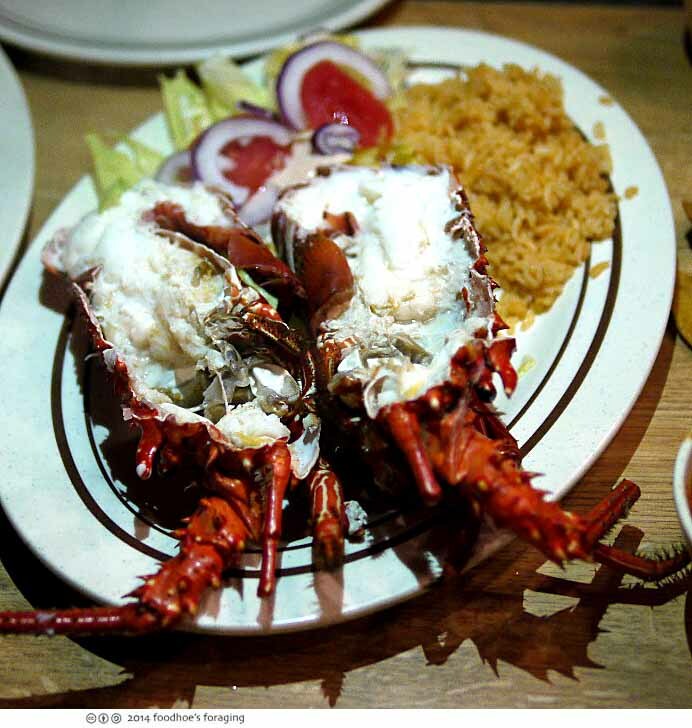 And thus we were introduced to baja seafood, insanely fresh and with bolder flavors than what we are used to. 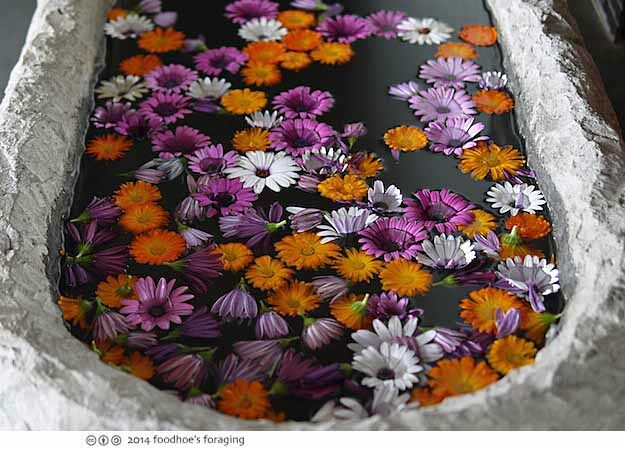 Mouthwatering food and lovely places! A wonderful road trip. Thank you very much for planning my next vacation through this blog post of yours :). This trip sounds and looks amazing – and relaxing. 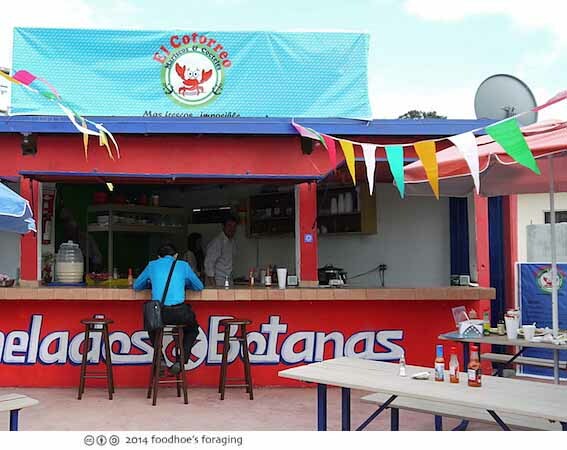 I’ve been to Ensenada before but unfortunately I didn’t get to experience real authentic cuisine since I was on a tour from a cruise ship. Looking forward to seeing that recap! i want to eat food like that every day for the rest of my life. so jealous! Wow, everything does look fresh! “Lusciously lardy refried beans,” hmmm, I detect a trend to your eating. 😉 What new car did you get? Did it replace yours or Mr. K’s? Did you drive your car across the border? How long did it take to cross each way? Is it safe driving down there? Do you know what insurance provides? Have you heard about anyone taking a taxi or shuttle? Hi Sherry, yep we drove ourselves, it was super easy going over, and we felt safe enough driving around. Right after you enter Mexico, you cross a bridge that overlooks a pretty grim shantytown area where we wouldn’t even think about driving into! But driving around everywhere else was fine. Insurance was about $20 a day, we used baja bound . And the return back over the border took an hour in a super slow moving line. Our hotel gave us a fast pass which didn’t work and we couldn’t figure out how to get into the special lane for San Diego at all. 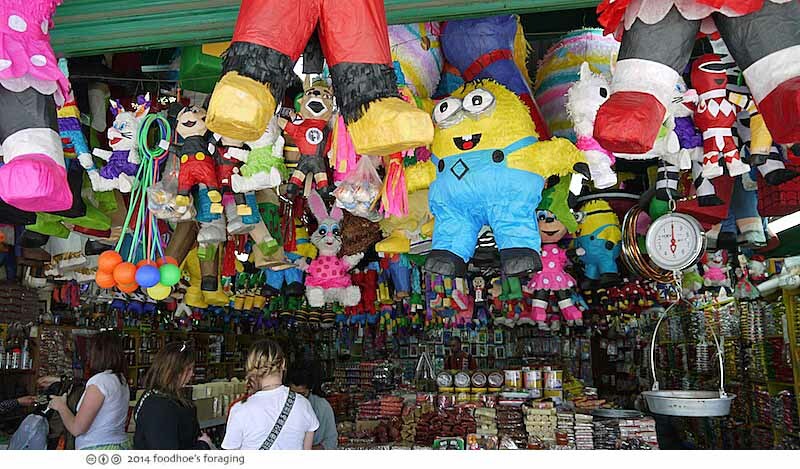 Everytime we tried to take it, we ended up in downtown Tijuana. We’d do it again in a heartbeat, but I’d like to figure out the fast pass thing for getting back….